Indians are not strangers in Indonesia. They have been drawn to Indonesia, – a name derived from the Latin Indus, meaning “India”, and the Greek Nesos, meaning “island”, since the prehistoric era. From the 4th and 5th centuries onward, Indian cultural influences became more visible. Various Indian people settled in Indonesia, mixed and assimilated with the local population. The first Indian migrants came primarily from Gujarat in India during the first Christian era. This followed the introduction of the Sanskrit language which led to the development of the Kawi language and script. Early trade relations were established between India and the islands of Sumatra, called ‘Swarna Dwipa’ or “the island of gold,” and ‘Java Dwipa’ or “the rice island”. The influx of Indian settlers continued till the 16th century and this period is historically referred to as the Hindu-Indonesian period. The underlying philosophical concepts introduced since the 5th century by the Brahman priests have had a profound effect in shaping every facet of Indonesian society, till date. Indians were later brought to Indonesia by the Dutch in the 19th century to work on plantations located around Medan in Sumatra. These included Hindus, Muslims and Sikhs, who are now assimilated with the local society over four generations, while still maintaining their cultural traditions. A second wave of Indian immigrants who made Indonesia their home in the first half of the 20th century were several thousand Sindhi families, when displaced during the India –Pakistan partition. They are mainly engaged in trading and commerce in major cities, including Jakarta, Medan, Surabaya, Bandung, Solo, Padang, Banda Aceh and Semarang. Gandhi Seva Loka foundation connects them and also manages the Gandhi Memorial Intercontinental School (GMIS) under the leadership of Chairman Suresh G. Vaswani. The Sindhi community is well integrated in Indonesia; regular activities are held at its community center on Jl. Samanhudi, Pasar Baru, Central Jakarta. The inflow of major Indian investments in Indonesia starting in the late 1970s drew a fresh wave of Indian investors and managers to this wonderful country. This group of entrepreneurs and business professionals has further expanded over the past two decades, and now includes engineers, consultants, chartered accountants, bankers, IT and other professionals. At present, approx 250,000 individuals of Indian descent are found across the Indonesian archipelago. An association of corporate entities and people having interests in promoting economic and business interest of Indonesia and India – India Indonesia Chamber of Commerce (IndCham), was established in 1977. The current committee under the leadership of Amol Titus, works with government agencies, KADIN and professionals towards knowledge sharing, collaboration and counseling to boost business activities, economic and trade ties. 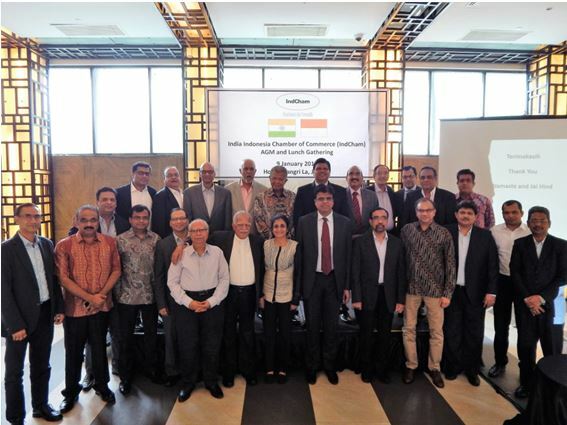 Image: Indian Chamber of Commerce in IndonesiaBesides advancing their own careers, members of the Indian community — both Indonesian citizens and Indian expatriates — have made significant contributions to their host country in many fields. They have established schools of repute for development of education in the country. Incredible India Education Fair (IIEF) is an initiative by Ravi Makhija to promote Indian Education in Indonesia. The role is to enhance the educational links between India and Indonesia at various levels – Ministerial, University and High School. “In the past, there were interactions between Sriwijaya University of Indonesia and Nalanda University of India; but somehow these links disappeared in books of history. India is mostly known to Indonesia only for Bollywood, culture and to certain extent—Ramayana and Mahabharata,” said Ravi. Indians have strong community ties and tend to group functions around religious festivals and events and temples are a great venue for these community events. The Sri Mariamman Temple in Medan and Shiva temple in Jakarta are the most popular. Other temples are the Dewi Mandir, Sai Mandir and Gurudwara in Pasar Baru and Tanjung Priok, as well as the ISKCON Temple in Bogor. 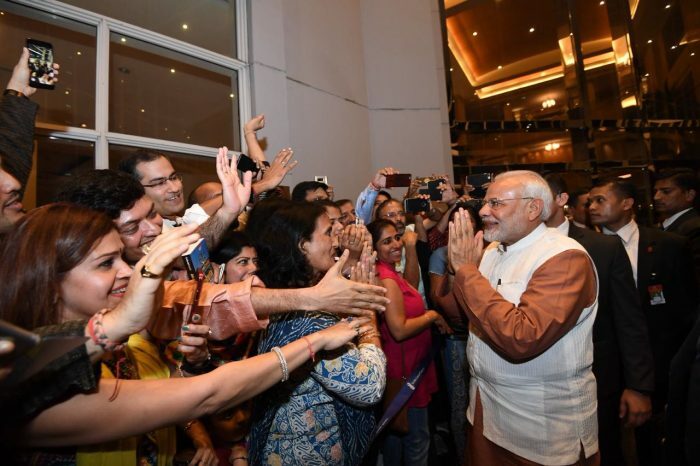 In addition are 40 other Indian associations registered with the Indian Embassy, which include the Indian Women’s Association, Indian regional associations, religious and faith-based associations, social and charitable organizations, schools, alumni and chapters of Indian associations. Over 40 Indian restaurants are found just in Jakarta. Indian Restaurants can also be found in most major cities of Surabaya, Bandung, Medan, Solo and even Semarang. Bali has a growing Indian population and to cater to the taste buds of the tourists, there over a staggering 40 Indian restaurants across Bali. The Indian Embassy has established Cultural Centers in Jakarta and Bali, where Yoga, classical music and dance are taught. Indians are now are flocking to Indonesia as tourists and this number has risen by 30 percent to 485,000 tourists. You would find a majority of them in Bali, as a wedding and honeymoon destination. This year, Indonesia is aiming at attracting 700,000 tourists from India by cooperating with and encouraging travel agencies to include Indonesia on the itinerary of Indians visiting Malaysia and Singapore. The most binding element for the Indian Diaspora, a staggering 30 million spread across the world, is no longer just Bollywood or cricket; it is the internet and online social networking sites that connect them to each other and have become the major gateway to India. In a society where family and societal ties are strong and valued, the online space has brought Indians everywhere closer together, making them the most connected people in the world and their voices the most heard. www.Indoindians.com was launched in the year 2000, is a community initiative by PT Infotech Solutions based in Jakarta. It has a wealth of information on living and working in Indonesia relevant to Indian newcomers to this wonderful country, The site connects, supports and engages the Indian Diaspora in Indonesia as well as people of Indonesia with an interest in India through various online and offline initiatives. Image: Indoindians Art Exhibition and Charity Auction 2018. 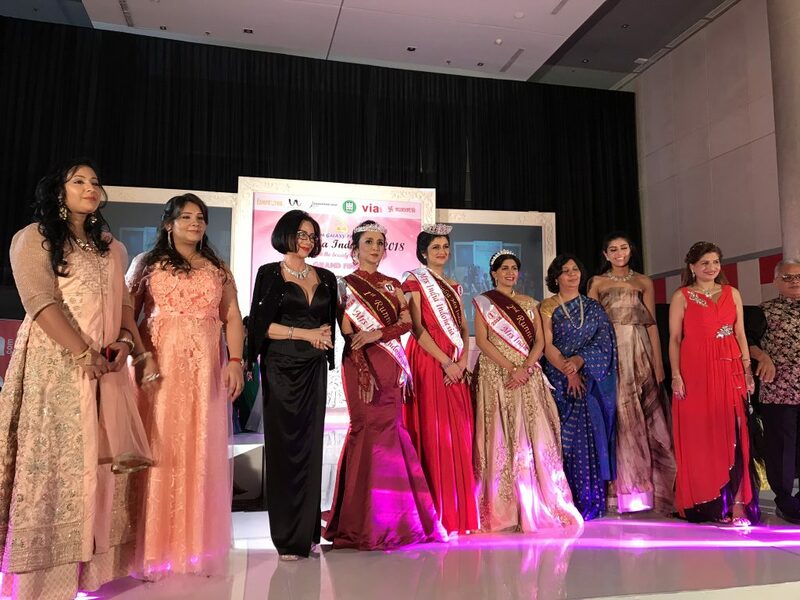 Participating artists from left to right are Arun Samak, Vasundara Sur, Sonal Sadarangani, Sulochana Vj, Nisha Gupta, Rashi Sharda, Jyoti Chawla, Vijaya Birla, Suvarna Mantha and Manik Kapoor. Indonesia is very similar to India with it a large diverse, growing population, where traditional family values and ties are important. The spirit of Bhinneka Tunggal Eka or ‘unity in diversity’ resonates with both cultures and demonstrates tolerance and respect for other religions in both countries. ‘India and Indonesia, two great nations and civilizational siblings, have a lot of kesamaan (similarities)’ says Julia Suryakusuma. Indians like to live in Indonesia. However, the successes of the Indian community in Indonesia can be attributed to its traditional ethos, its tolerance and hospitality, its educational aptitude and qualifications, and its capacity to harmonize and adapt.